Hidden Valley: 2 bed / 1 bath. Sleeps 8. You’ve found it, this is the place! 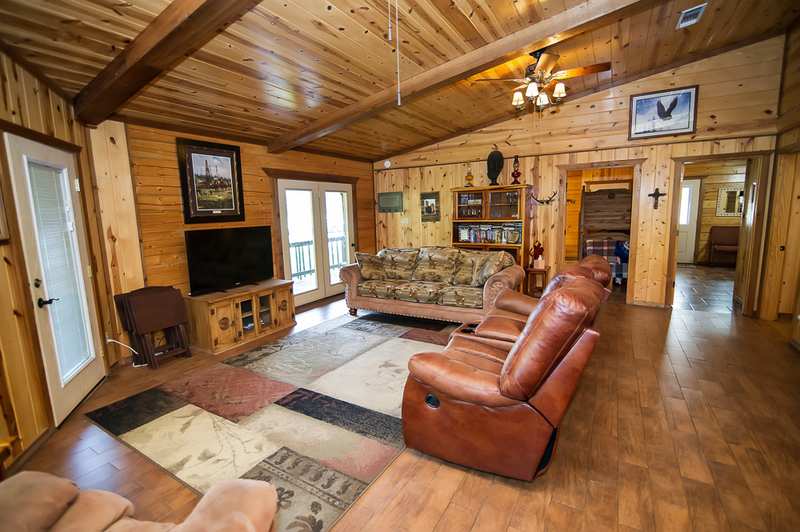 At Hidden Valley Retreat you can have that family getaway where you can relax (finally). 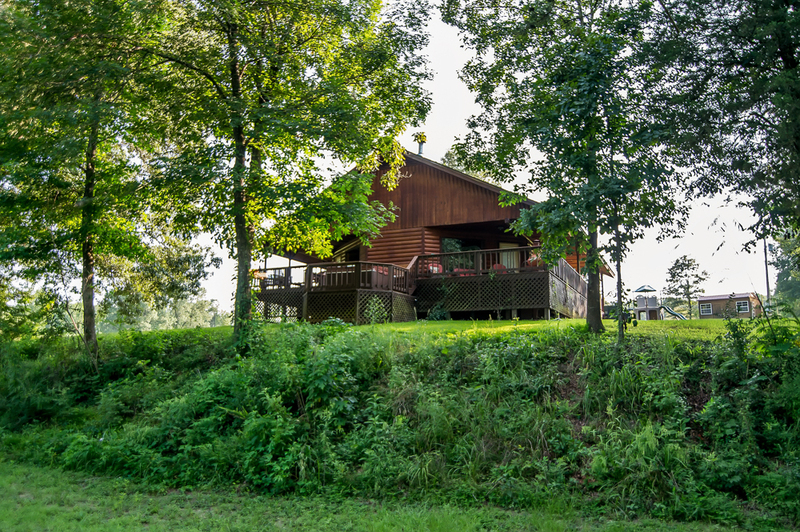 Sit out on the back deck and enjoy the peacefulness of the water running along the creek, welcome the sun with a hot cup of coffee or even splash and play in a good ol’ cold mountain creek. Play a few rounds of horseshoes or try your luck at creek fishing or down at the farm pond with the complimentary fishing poles. Who knows, you might catch a fish or two. Then you can spend the evening watching the glow of a warm, crackling fire in the fire pit or chin deep in a large hot tub. 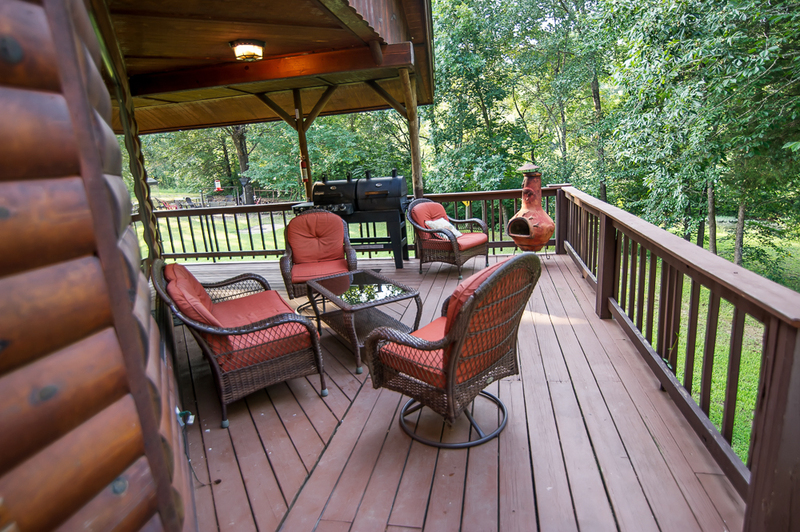 Hidden Valley Retreat sleeps 8 guests comfortably in 2 separate rooms; both have a door out to the deck. 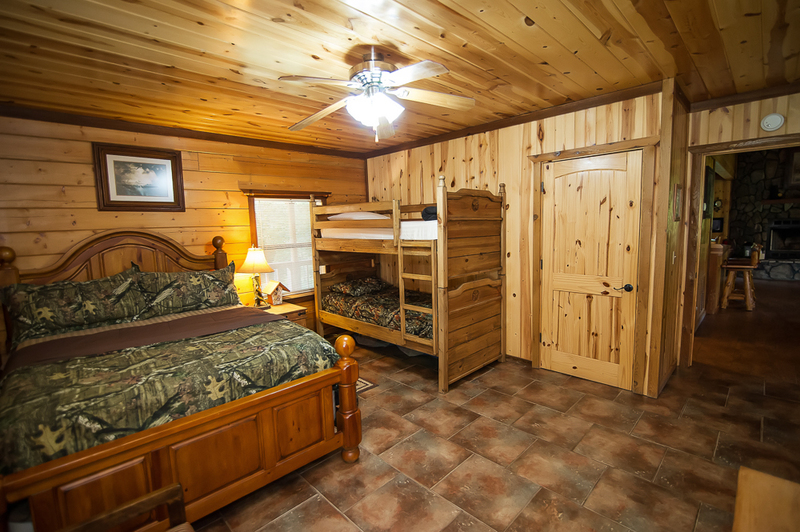 Each room has a queen size bed and a set of bunk beds. A wood burning fireplace, ready to cook kitchen, and charcoal & gas grill will round out your stay nicely. For the kids, there is a small play set off the front deck and a foosball table on the back deck – and the squirrels are always eager to entertain in exchange for a little corn! 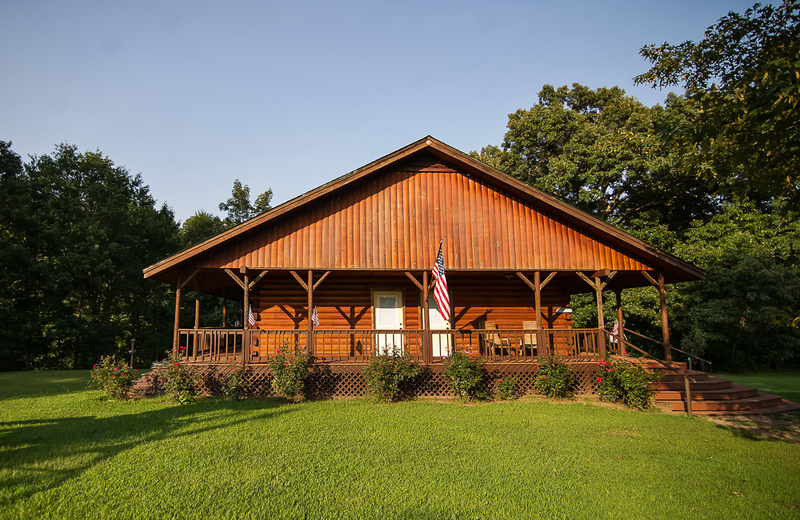 Hidden Valley Retreat sits on over 20 acres that is available for you to explore. Discover the beauty of Kiamichi Country in the rock bluffs you will climbing and hiking across, bring your bicycles and tour the property, walk the creek bank; there is so much to appreciate out here. When you leave for the day, if you leave for the day – you can canoe and float the upper Mt. Fork River less than a mile away. Pick one of the many hiking or ATV trails that are within 30 minutes of the cabin. Or you can take a day trip to Beavers’ Bend and Hochatown, or cross the state line to explore Mena, AR. With so much to do outside at Hidden Valley Retreat we hope you take the chance to truly explore and enjoy yourself. However, we do ask that you use caution since nature is full of….well…..nature. Please stay alert and familiarize yourself with the local plants and wildlife if you plan on getting to far from the beaten path. Hidden Valley is still a producing hay farm and improper use of the ATVs can destroy a field, so we do restrict you from riding the ATVs in the pasture. And of course, ATVs are not allowed on the creek bank or in the creeks. 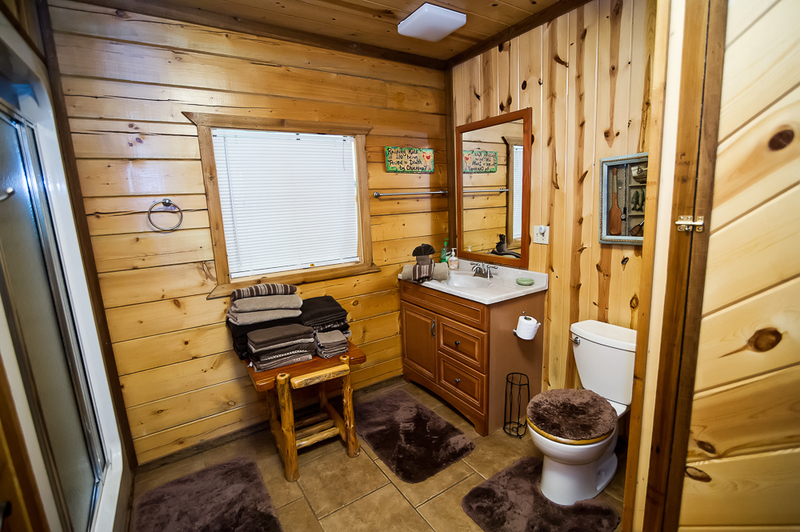 The cabin has an easy access parking area with plenty of room for boats and ATV trailers. This cabin is pet friendly. Guests may have two (2) small dogs with a $20 per night non-refundable pet fee. All dogs must be kenneled if left alone at the cabin; a kennel is provided at the property. Pets are not allowed on the furniture or in/on the beds otherwise additional cleaning fees may apply.